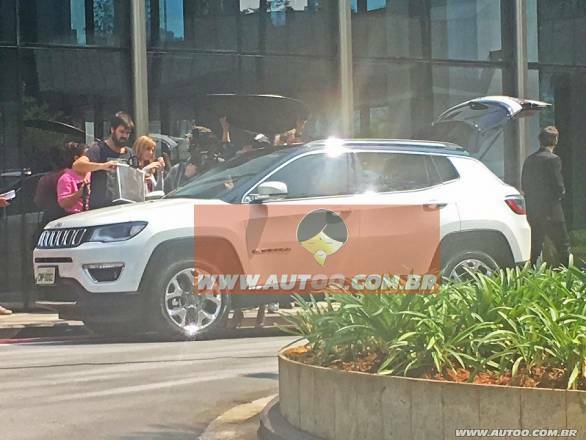 The India-bound Jeep Compass will be a C-segment SUV which will be launched in Brazil first; it was spotted weeks ahead of its official launch filming for a commercial. The car spotted was the Limited Edition, hinting at several unique styling cues like the roof line which has a chrome strip running across the sides, meeting at the rear under the windshield. The roof is of a different colour too indicating that there may be dual-colour options on this top-end variant. In addition to this, the Jeep Compass features some trademark styling elements, such as the squared-off wheel arches, large alloy wheels and the front grill with chrome inserts that have become synonymous with the company's vehicles in the recent past. 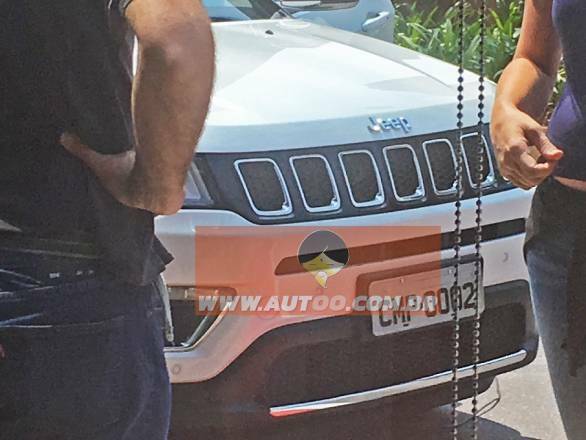 It looks like a more rounded version of its bigger brother, the Grand Cherokee. Upfront, the headlight cluster has DRLs and projector headlamps which taper off on the sides of the car. The rear features a wrap-around cluster with DRL elements and a roof coloured spoiler. 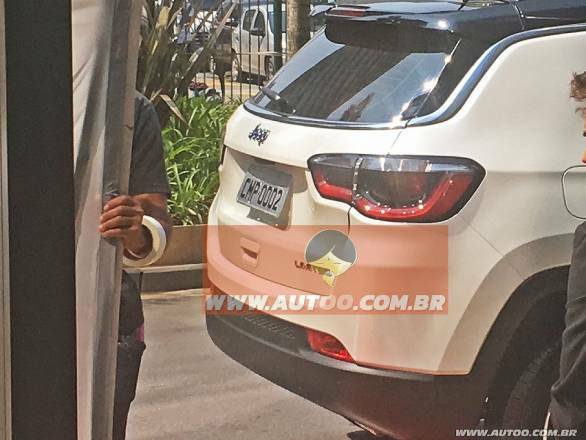 For the Brazilian market, it will be available with two engine options, a 2.0-litre flex-fuel and a 2.0-litre MultiJet diesel engine. Power output is expected to be around 160PS for both the engines. The diesel engine will be mated to the 9-speed ZF automatic gearbox while the former will get a 6-speed automatic as well as a manual transmission option. It will be launched in India sometime in 2017 and will be produced at the FCA plant in Ranjangaon, Maharashtra. The rivals for Jeep Compass will be the Toyota Fortuner, new Hyundai Tuscon and the Ford Endeavour. Making us believe that it will be competitively priced. Jeep entered the Indian market just last month and sales have begun with the launch of its first showroom in Ahmedabad. They are opening showrooms in Delhi and Chennai in September, followed by a showroom in Mumbai in October. They also have plans of opening showrooms in Bengaluru, Chandigarh, Kochi and Hyderabad thereafter. 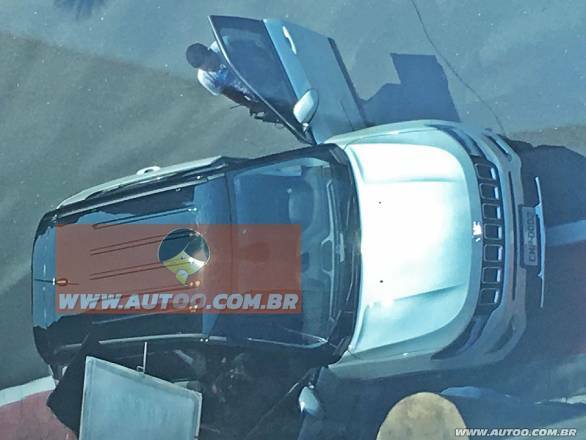 As of now, the company retails the Jeep Wrangler, Grand Cherokee and the SRT here. More Jeep SUVs are expected next year.